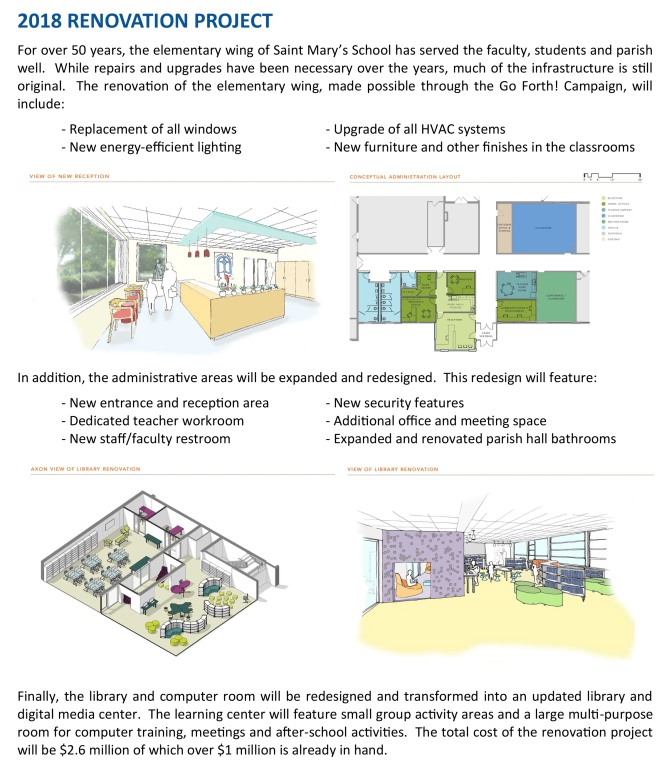 Below is a summary of the Go Forth! 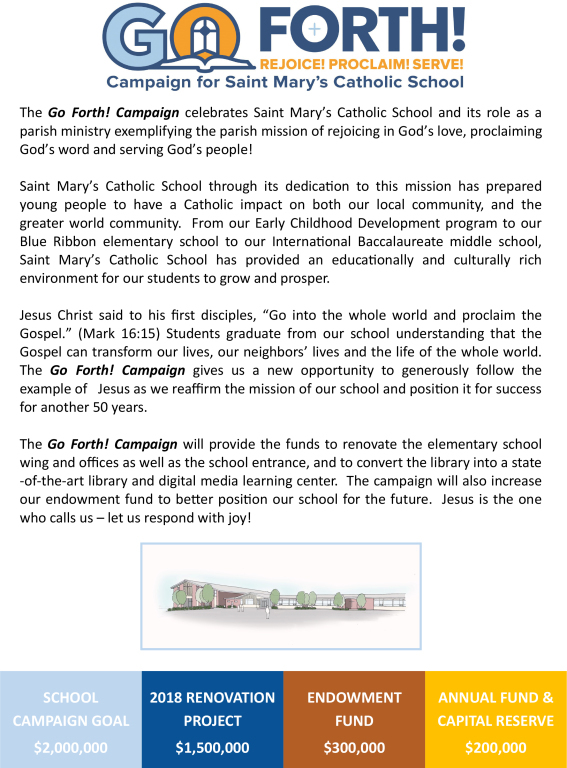 Campaign for Saint Mary's Catholic School. or Greg Kamper - gkamper@stmarysrichmond.org.